Now that we are back from CES, and finally all caught up, I forgot to mention what may have been my favorite experience of the show, Stern and their consumer friendly Pin. It is a fully functional pinball table in a smaller size for a better fit in the home. Many of us dream of game rooms or have our own already with prized possessions of past gaming and the Pin is a good fit, especially if space is limited. 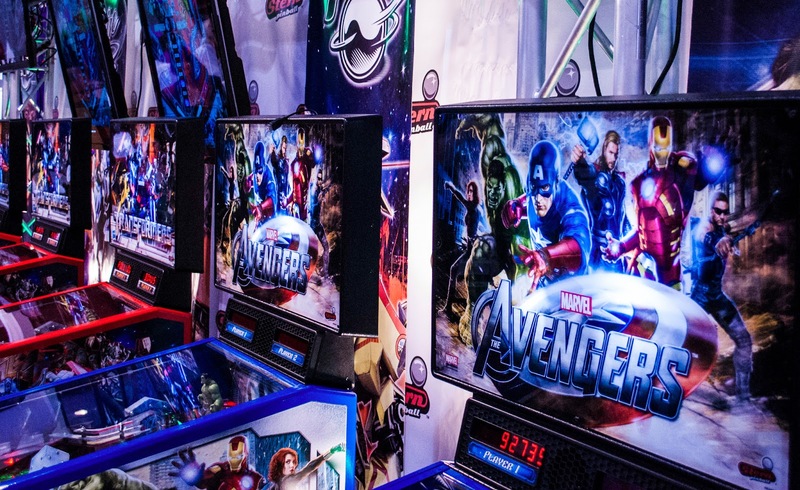 Like I said, it is consumer friendly and that means it is set up for freeplay, easy to assemble, and comes in two tables, Transformers and Avengers. Being able to play this pinball table, with free martini’s, and the Man, Gary Stern, of Stern telling stories of the good old days of the arcade and pinball made for the most memorable experience of this years show.